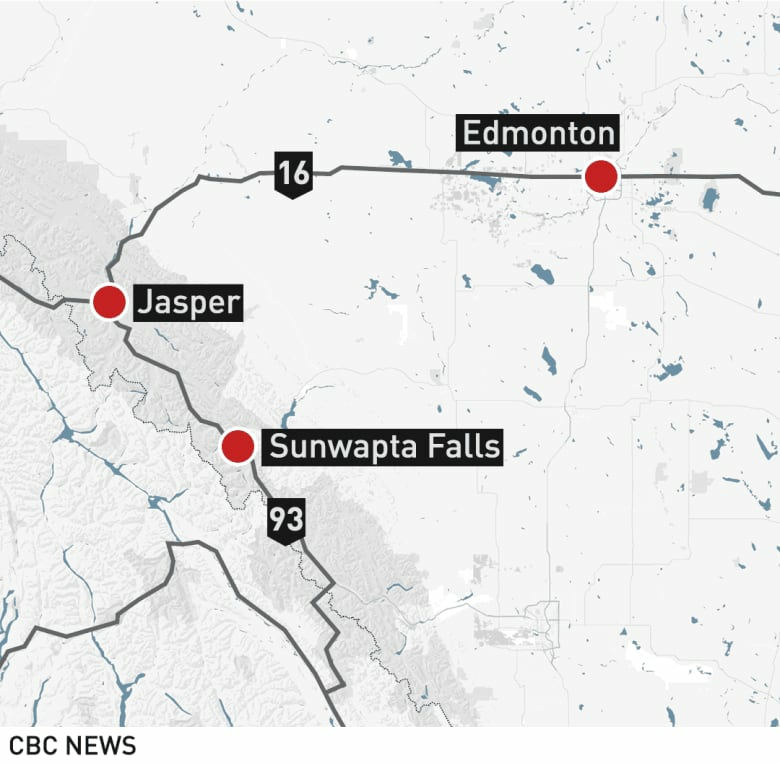 6 killed in highway crash south of Jasper, Alta. Six people have died, including two visitors from the United States, following a highway crash in Alberta's Jasper National Park on Tuesday afternoon. Grieving family members from the United States rushed to catch flights to Alberta on Wednesday after learning about a highway crash near Jasper that killed six people. Among the dead were Angela Dye Elkins of Benton, La. and her son-in-law, Nick Copeland, who lived in Texas. The two were travelling through Jasper National Park on Tuesday afternoon when the van they were riding in collided head-on with another vehicle. All four occupants of the other vehicle also died in the crash. Further information about them is not yet available, RCMP said. 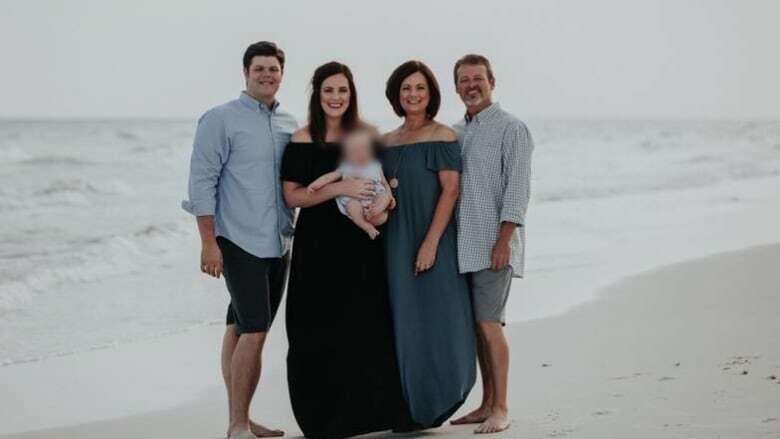 The other two people in the van, Curtis Elkins and his daughter, Sarah Copeland, were taken to hospital in serious condition. The fifth passenger, a toddler, was taken to hospital in Jasper where an assessment found the child wasn't injured. The multi-vehicle collision happened early Tuesday evening on Highway 93 south of Jasper, Alta., RCMP said. Angela Dye Elkins had five siblings, including her brother, Tim Dye, a pastor at the Freedom Church in Bossier City, La. Dye told CBC News late Wednesday afternoon that he and two of his sisters, along with their mother, were moments away from boarding a flight to Canada. "We have a faith in God, and we're holding on to that," Dye said. "We are devastated. We have moments of tears, but we're just trying to get there to make sure ... we can get these people home." Dye said Curtis Elkins had surgery on his leg Wednesday. "He's in shock," he said of his brother-in-law. "He's just completely torn up about it." RCMP responded to a multi-vehicle collision at 5 p.m. Tuesday on Highway 93 near Honeymoon Lake, 52 kilometres south of Jasper. Honeymoon Lake is five kilometres north of Sunwapta Falls, a major tourist attraction. Preliminary investigation indicates a northbound van collided head-on with a southbound vehicle, RCMP said in a news release. Both vehicles caught fire. A third vehicle went off the road when its driver tried to avoid the crash. The two occupants of the third vehicle suffered minor injuries. "We had six people killed in this collision and that makes it a terrible collision," RCMP Cpl. Laurel Scott told reporters Wednesday afternoon in Edmonton. "The damage and the outcome is terrible." Scott said it was "miraculous" that the two-year-old toddler survived the crash without injury. "I don't know if there's some divine intervention happening there," she said. "The toddler who survived, which is miraculous, I can only assume would be in a car seat and very secured. And I don't know the positioning right now of where that toddler was. "So we'll just say it's an amazing blessing that that toddler survived, and we're thankful for that." Several people who came upon the collision scene pitched in to help in the aftermath, Scott said. "There were a lot of people who pitched in immediately to help pull people from vehicles and do what they could to help save lives." Gagan Sidhu of Surrey, B.C. was travelling the highway with his wife and daughter when they saw black smoke and figured it was a forest fire. As they got closer and saw the burning wreckage of two vehicles, the retired firefighter from Australia got out to help. Sidhu was handed a fire extinguisher and, with the help of a few others, put out flames that were spreading from the vehicles through grass toward some trees. "People really gave their all ... to help out," he said. Highway 93 traffic was rerouted for a number of hours in both directions while police investigated and cleared the accident scene. About four hours later, there was another crash on Highway 93, two kilometres south of the other crash site. One vehicle drove into the rear of another, police said. "This collision was not a part of the initial collision and will not be reported on further," they said in the release. Highway 93 was reopened by 4:30 a.m. Wednesday. The investigation is ongoing, RCMP said. Scott said the death toll from Alberta road crashes around the August long weekend stands at 14. "Fourteen people over a very short time frame, that's a tragedy in this province," she said. Early Tuesday, three people were killed in a head-on crash between a car and an SUV near Priddis. On Monday, three people died and a child was hospitalized after a two-vehicle collision south of Sylvan Lake. On Sunday two boys, ages nine and 11, died after a tractor pulling a flat-deck trailer rolled near Taber.